This article on commodity trading concentrates on the very onerous challenges faced when the commodity being shipped is registered as Hazardous Goods. The commodity used as an example in this case is Cobalt 60. There are a variety of factors which can make commodity trading either very lucrative or financially destructive. Finding suitable customers and suppliers and arranging the financing to make the deal happen are key and in their own right complicated matters. However, there are a number of other factors which can impact on the contract and raise the risk profile. Some are identifiable and controllable if the right questions are asked at the right time and procedures put into place to minimise the risk. For example, a lot of commodities are challenging to ship. However, I would argue that one of the most difficult of all commodities to ship internationally is Cobalt-60 (C-60). In addition there are often uncontrollable factors which make managing the risk very difficult and will add to the contract complexity. It is these unexpected occurrences which make commodity trading so challenging. Throughout the supply chain, a major cause of problems is a lack of political stability. This can manifest itself in a number of ways and often very quickly, which makes identifying the problem at the contract stage and implementing risk mitigation beforehand difficult. The most successful commodity traders are those who have brilliant intelligence gathering and analysis facilities; an extensive contacts network; are able to keep a very close eye on all aspects of the trade affecting their contract on the ground and in real time, and the financial and administrative flexibility to deal very quickly with whatever is thrown at them. Cobalt is a commodity where this factor of political stability is particularly sensitive, mainly because one of the main sources of Cobalt is the Democratic Republic of Congo (DRC) which is only now emerging from the chaos caused by nearly four decades of civil war. Cobalt (chemical symbol Co) was identified in 1735 by the Swedish scientist George Brandt, who discovered that the blue element in coloured glass was caused by Cobalt instead of Bismuth as originally believed. Cobalt occurs naturally in various minerals and has been used for centuries to import a blue colour to ceramics and glass. It is a hard, brittle, grey metal with a bluish tint. It is solid under natural conditions and is similar to iron and nickel in its properties and, like iron, can be magnetised. However, since it is measured at No. 5 on Moh’s hardness scale, it is actually harder than iron. In 2010 the European Community identified Cobalt as one of 14 strategic and critical metals. Cobalt presently used in many different industries. 54% of annual output is use in the manufacture of batteries and chemicals, 21% in the manufacture of super alloys, 12% in carbides, 6% in magnets, 5% in alloys, High Speed Steel and steel and 2% in other industries. A major concern of the European Community, however, lies in guaranteeing future supply for up and coming technologies such as lithium-ion batteries and synthetic fuels. Cobalt is also the only source of Cobalt-60. 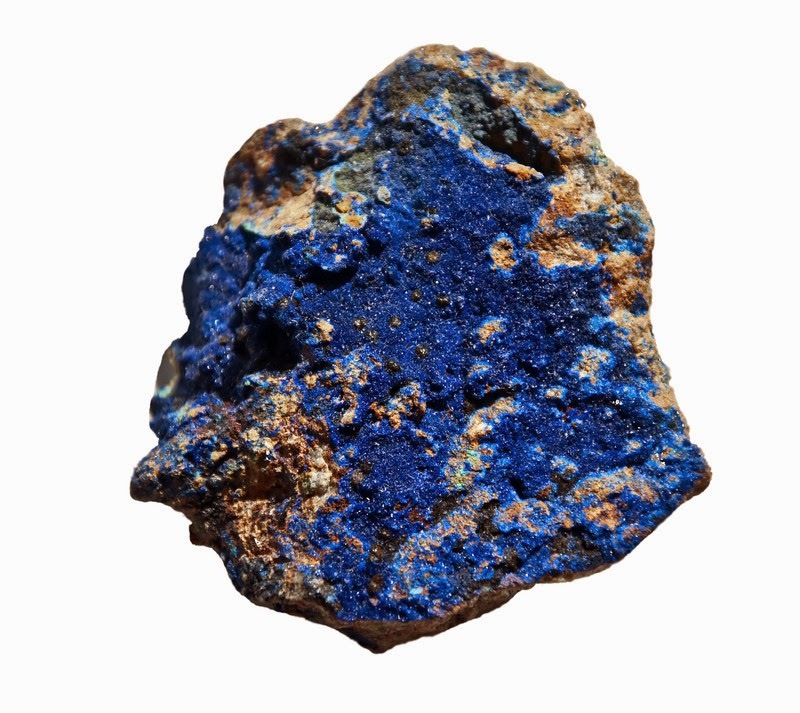 Cobalt is obtained primarily as a by-product of the mining and processing of Copper and Nickel ores. The general figures are that 52% of Cobalt is mined in Africa (DRC and Zambia), 24% in Australasia, 17% in the Americas (Canada, Cuba, New Caledonia and Brazil) and 7% in Asia (China) and recently deposits have been found in Russia. The biggest Cobalt mining operation is presently based in the Democratic Republic of Congo (DRC), but Richard Mills in his article “Ahead of the Herd” (14th June 2013) points out that large deposits (82,800 tonnes) have been found in the Altai region of Siberia (Karakul Cobalt Project) and this is potentially the largest known primary Cobalt asset outside Africa. This might become quite important because a recent World Bank Report of the DRC infrastructure states that “The Democratic Republic of Congo faces what is probably the most daunting infrastructure challenge on the African continent.” In which case there is probably a huge potential for development, since the DRC is the richest country in the world in terms of mineral wealth, estimated to be worth US$ 24 trillion. It also has the highest number of people (estimated at 10 million) who have died there because of civil war since the Second World War and there are presently more than 2.6 million internally displaced people in the DRC. It was once announced that the DRC was the hardest place in the world for a mother to bring up children. Armed conflict with M23 rebels in the eastern part of the Congo intensified during 2012 including a number of clashes at the main Cobalt mine in Katanga. However, on 5th November 2013, the M23 rebels announced a ceasefire which hopefully might bring some much needed stability to DRC. However, stability can bring its own price and development its own problems. There is presently an environmental argument regarding the UK company SOCO’s right to utilise their licence to explore for oil in the Virunga National Park, which is home to critically endangered mountain gorillas. There are other challenges as well. In April 2013, the DRC Government made the announcement that they wanted all their mines to process all of their mined ore inside the DRC to encourage more value-added production. Therefore, on the 5th April the DRC Government gave companies 90 days to clear stocks and halt exports of unrefined copper and cobalt. Export streams were to be switched from ores and concentrates to refined products. The reason for this action is simple. The DRC Government is overhauling their mining laws with the objective of boosting state revenues by increasing tax rates and raising the Government’s minimum stake in managing projects. They now have plans to raise their free stake in new mining projects from 5% to 15%. However, the DRC had tried to impose such a ban twice before in 2007 and 2010. This failed on both occasions due to a lack of power in the country. DRC suffers from acute electricity shortages (some 5000 MW), which are believed to get worse by 2020-21. Hence a real requirement to improve the country’s infrastructure. In addition, on October 14th 2013 the DRC Government announced that they would now tax mining companies in the local currency – DRC Franc – instead of the US Dollar. Hyper inflation in the 1990’s, when consumer prices rose 10,000%, prompted the then Government to collect their taxes in US Dollars. However, the recent stability of the DRC Franc has led the DRC Government to attempt to reduce dollarisation (presently calculated at 50%) in their economy. The present Government is trying hard to bring back the valuable mining concessions under their control. Yet, part of the problem is that a lot of the licences granted some years back were done so under unusual circumstances which today are being questioned. This has led to a degree of uncertainty in the DRC mining community about who has the correct licences and who needs to obtain new licences. What is important is that all of these changes affect the way that Cobalt is supplied from the DRC. Because of the percentage of supply that the DRC has in the world wide Cobalt trade, all of these local, national factors have an impact on the global supply of Cobalt and understanding what has happened and accurately analysing what may occur in the future is a key process in a successful commodity trade. In the 1930’s, two scientists, Glenn T Seaberg and John Livingood at Berkeley, California, discovered that by exposing Cobalt to radioactivity, a new product was formed, known as Cobalt-60 (C-60). Today, C-60 is produced for commercial use in linear accelerators, but also occurs as a by-product of nuclear reactor operators, when structural materials such as steel is exposed to neutron radiation. C-60 decays to non radioactive nickel and has a half life of 5.27 years. Unfortunately, C-60 can also be used in non-beneficial ways to effect radioactive attacks on populations. Hence it is a very regulated and monitored resource and this brings its own problems when trading in this commodity. C-60 is used in a large number of industrial applications, such as the sterilisation of spices and certain foods since its powerful gamma rays kill bacteria and other pathogens without damaging the product. After the radiation ceases, the product is not left radioactive. This process is sometimes known as cold pasteurisation. This process is now prevalent in the irradiation of fruit and vegetables for export and is replacing dockside and on-board pest fumigation with Methyl Bromide, which has been identified as a Class 2 cancer agent. It is used in industrial radiography (a process similar to X-Rays) to detect structural flaws in metal parts. It is heavily in use in medical applications and the sterilisation of hospital waste before disposal. It can be used in medical devises for the precise treatment of otherwise inoperable deformities of blood vessels and brain tumours. In many countries, 45% of single use medical devices are sterilised using C-60 and 80% of all surgical gloves and bottle teats for pre-mature babies. Blood can be irradiated before transfusions to prevent the fatal TA Guft disease and food irradiated to protect immune compromised patients from food-borne diseases. A lot of items used in households are also irradiated using C-60 such as food packaging, natural ingredients used in cosmetic and pharmaceutical applications, wound dressings, feathers in soft furnishings to prevent the transmission of bird flu and pet chews to prevent the transmission of salmonella. C-60 is also used in the horticultural industry to sterilise growing mats, pots and fleeces so they can be re-used, hence reducing waste and to sterilise seaweed before its use as an organic fertiliser. It is also used to control mosquito populations since mosquitoes can be made infertile by irradiation and C-60 is now an important part of the fight to gradually eradicate malaria by interrupting the breeding cycle. More and more uses for C-60 are found each year. The problem is transporting the product, since it is classified as radioactive material (Class 7 Cargo under the Hazardous Goods classification). C60 is both unstable and radioactive and one of the challenges of shipping C-60 is that it is barred for entry in a number of ports world-wide. For example, there is a denial of transit for Class 7 Cargo through European ports. In addition, the paperwork required to ensure a successful shipment is in its own right a major logistical challenge. There are presently two manufacturers of C-60 who ship 100-150 containers per year. The usual quantity of C-60 shipped is usually 2-3 kgs per consignment, but because of the Class 7 classification, this small amount needs to be shipped in specially designed and manufactured REVISS flasks which weigh 4000 kgs each. These flasks are certified Type B(U) in compliance with IAEA transport regulations TS-R-1-2005. Type B certification requires the flask to be tested “to withstand transport accident scenarios under extreme environmental conditions.” The flasks have been shown to be effective shields since tests on workers handling these flasks on a daily basis show a measured annual dose of 2 units. This is compared to the 2.5 units of background radiation that we all absorb each year from atmospheric emissions when we fly in aircraft, through geological emissions from the natural environment or when we undergo medical x-rays. Essentially, shipping C-60 requires a strict procedural structure to be in place which essentially asks (and answers) a series of questions in four areas of concern. 1. In the initial product enquiry, what basic information is required? a) Is the importer a new customer or new irradator and are they listed on the supplier’s export licence? b) Is there an established shipping route? c) Is there product available to ship? d) For source returns does the customer require an export licence? e) Have return shipping logistics been reviewed, particularly for sea shipments? 2. On order acceptance, what regulatory requirements need to be addressed? a) Is it possible to ship Class 7 goods to the customer? Is the transport and transit route that the customer wishes to use capable of accepting Class 7 goods? Please note that air shipments are not possible. b) Has the customer the following documentation in place? – Written acceptance of the customer’s responsibilities regarding collection of the cargo from the port. c) Has the customer considered the timing issues of all the relevant parties obtaining the necessary documentation? 3. On shipment, what Dangerous Goods paperwork needs to be issued? a) The supplier creates a Dangerous Goods Declaration. The details on this declaration must be precise and specify the radioactivity at the time of despatch from the supplier. c) Truck shipments must have dose rates in the ‘cab’, ‘daily checks’ performed regularly and most importantly, the driver must know what he is carrying and is licensed to do so. 4. With flask returns, are they loaded or empty? What are the regulatory requirements for shipping these flasks back? The customer must submit shipment details to the supplier before the flask is despatched and they may be required to issued Dangerous Goods documents. The commodity trade in Cobalt and Cobalt 60 offers a good illustration of some of the challenges and procedures that need to be considered for a successful commodity trade. Both commodities play a vital part in today’s global industry and threats to the supply of either could have implications that are widespread and possibly crippling to continuous technical and economic advancements. They are not alone. Many of the technologies that we now rely on and expect to work without fail, are based on the supply of metals such as Cobalt. However, this supply must go hand in hand with compliance regulations and consideration of other matters such as environmental concerns. Keeping all these different factors in balance and under control is probably akin to successfully juggling Cobalt 60. Drop the ball and it will go radioactive on you.